2018 was a banner year for Swim Into The Sound. If you’d allow me to pull back the curtain for a minute and wax poetic, I would love to dedicate this decidedly non-music post to the year that was and express my profound gratitude to you, the reader. Swim Into The Sound began in my backyard when a burst of inspiration convinced me to jot down my thoughts on a Mogwai record. I probably spent a week on that post, manically editing the Google Doc until it was as good as I could make it of my own devices. I pasted it into a Tumblr page, posted it, and then let the account sit there for about a year. The summer after that I had graduated from college and found myself in need of an outlet. I remembered I had that Tumblr stashed away along with (what I thought) was a fantastic post already loaded up into it. I ventured back into the app and spent the remainder of the year posting a wide range of long-form music-related thoughts. Whether it was deconstructing my love of hip-hop or discussing my embarrassing pre-gym Taylor Swift rituals, I found a strange sense of relief in getting these thoughts out of my head and onto the (somewhat) permanent page of the internet. Throughout 2017 I continued to post on Swim Into The Sound more regularly and began promoting my blog on the /r/indieheads music subreddit since that’s where I was already spending most of my time. The support, affirmations, and love I received from the community there was unlike anything I’d ever felt before as a creator. It only fueled me further and confirmed that this whole endeavor was worth it. Seeing other people enjoy my words made me feel like that this site wasn’t just a hobby, but my passion. 2018 is the first year I’ve had enough to warrant a recap of the blog’s year, so I’m going to lean into it, modesty be damned. To think that Swim Into The Sound has grown from one amateur-ish album review I wrote on my phone into this is mind-blowing. This is undeniably self-congratulatory, but I also hope this post captures my gratitude because this site would not be what it is without you. One of the most significant changes Swim Into The Sound saw in 2018 was a complete redesign as we moved to Squarespace and escaped the clutches of Tumblr. Tumblr was wonderful as a free blogging tool, but over the past two years it became something that lacked the flexibility I really needed. It was an excellent way to dip my toes in the waters of public writing, but now I’m committed. Aside from the fresh coat of paint you’re now seeing, moving to Squarespace also gave me access to back-end information and analytics. For example, between the months of April (when I moved the site to Squarespace) and December, precisely 16,668 unique people visited Swim Into The Sound. That blows me away. It’s unfortunate I have no way to measure how many people were reading for the three years when the site was on Tumblr, but I never in a million years would have thought sixteen thousand people would be interested in my thoughts. Last year I posted 45 articles. That’s 73,899 words. More than I’ve ever done in a calendar year. Amongst those 45 posts, I broke into new and unfamiliar territory with my first interview, first concert review, and first visual piece. An artist walked me through his album track-by-track, and a Portland-based designer let me host his piece on my site. Those posts all broke format but felt incredibly fulfilling to get out into the world. That said, I can’t take all the credit for those 74-thousand words, because 2018 also marked the appearance of our site’s first guest writer. We also bookended the year with another post from a different guest writer, both of whom I had met through the /r/indieheads subreddit… proof that wasting your time online can pay off. On the goofier side of things, I was interviewed by @SMALLALBUMS (in case you ever wondered where I stood on emojis), and a friend photoshopped the blog’s logo into a terrible pun which I’m officially dubbing our first fan art. In 2018 I also did “real” businessey things. I started a Fiverr page in a desperate attempt to stave off joblessness. While the model didn’t quite work for the site, it opened the door to many firsts of its own from my very first paid review to my first review quote and the first time I got to hear an album early. When all was said and done, I made money from the venture, not much, but if you’d told me back in 2015 that I’d get $200 from this site I would have been astonished. On the social front, I rounded Swim Into The Sound’s online presence (which previously only consisted of Twitter) to include Instagram and Spotify. I also created an email dedicated solely to the blog. While this email was initially designed to catch all the spam from these social accounts, I soon started to receive music submissions, something I never would have dreamt of in a million years. I had artists sending me their life’s work, and that’s an incredibly privileged position to be in. To express my gratitude I collected ten of my favorite submissions from the first few months and plan on doing it again whenever time allows. In fact, there are no less than 50 emails waiting unread in my inbox, so if you’ve submitted something recently, sorry, life and List Season got in the way. 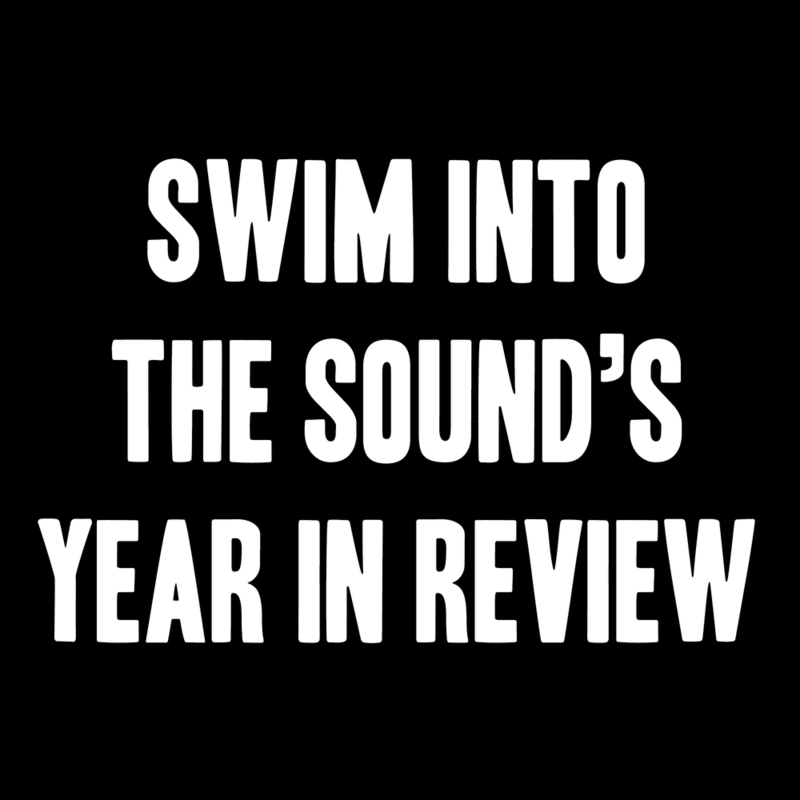 Speaking of which, Swim Into The Sound’s end of the year posts went off without a hitch. We attempted to recreate past glories with our Ancillary Diamond Platter Awards, we called out hack lyrics and bad behavior in our 2018 Un-Awards, and (of course) we ran through some of our favorite albums of the year. One of the things I’m most proud of in 2018 was listening to (and writing about) 454 new releases throughout the year. I went into more detail here, but writing about dozens of new releases each month was an interesting challenge that I didn’t even set out to do… it just sort of happened. Through that monthly process, I expanded my musical horizons and wrote about more albums than ever before. It was a grand experiment that took way more time than I could have imagined, but it was fun to see if I’d make it to the end of 2018 despite all that’s happened throughout the year. In addition to moving the site to Squarespace and keeping up with the music world through those monthly roundups, 2018 was also the year of the site’s first merch. I designed and ordered 250 4x4 stickers which were the sole content on our Instagram for some time. I also ordered 100 guitar pick “business cards” because I realized this blog’s name is hard to shout when networking at concerts. Finally, this holiday season also saw the launch of A Very Sufjan Christmas which, while not entirely written by me, is still a side-project I’m running with the help of my equally-fanatic online friends. The site was a daily advent calendar with new posts each day throughout the month of December. As you could imagine, that blog had its own demands and challenges, but I still view it as a sister site to Swim Into The Sound. I had my hand at a post, but running social media promotion, wrangling posts from writers, editing them, and designing the site was enough of a job for me throughout the holiday season. If nothing else I’d like one thing to be clear: I could not have done this without you. I’m not doing this for money, I’m doing it for love, and every time someone clicks on an article, gives me a like, retweet, or message of affirmation, it fuels me for another thousand words. It’s people like you that keep this site running and my sole afloat. I wouldn’t have done any of this if I didn’t think that someone out there was benefitting from it in some way. I wouldn’t have spent all the money on stickers or a new website if I didn’t feel like I’d received that monetary amount back through some sort of spiritual love being sent my way. I wouldn’t have opened an email for music submissions if I didn’t want to support small artists. I wouldn’t have spun thousands of words about new music every month if I didn’t think someone else might find those posts helpful. So from the bottom of my heart, I’d like to send a profound thank you to anyone reading this. Your support, your attention, and your love are what has kept this blog afloat for another year, and you’re why I plan on charging into 2019 with more fire than ever before. Thank you for everything, thank you for this site.